So after a busy week away, here is the second instalment of chips. As you can see from the 3 recipes provided, you really can use any vegetable in place of normal potatoes, making it a healthier snack for all. 3- Mix the ground almonds, parmesan, rosemary and turmeric together on a large plate. 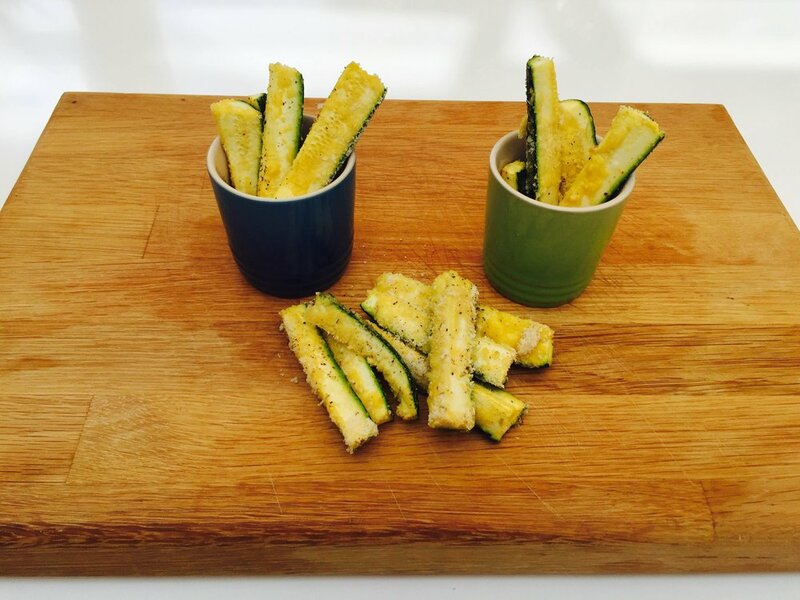 4- Beat the egg into a separate bowl and dip the courgette into this and then role onto the parmesan mix, coating evenly. 5- Place them on a baking tray and cook for 15 minutes or until crispy. Health benefits of Courgettes: Courgettes are rich in nutrients magnesium and potassium, which help to normalize blood pressure. It has a high vitamin C content and this in addition to the carotenoids it contains, stops the oxidation of bad cholesterol in the blood. Overall this plays a role in promoting a well-rounded healthy cardiovascular system.